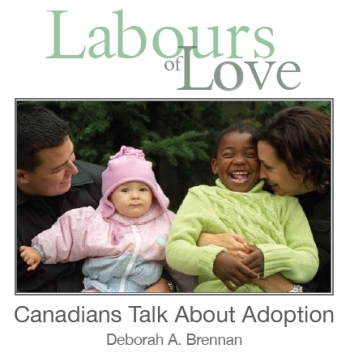 The idea of writing this book began because of my frustration about finding very few Canadian resources at the time we began our adoption journey. That was 1998. Ten years later, there are still none in the form that Labours of Love has taken. I came to realize that the publishing industry believes the market for such a book, is very narrow; that few people would have an interest. Prior to that disappointing realization however, I had already attended a course on how to create a non-fiction book proposal, created that proposal; and set about locating eager Canadian families to share their stories. I was at the point of no return. I applied that same blind faith and perseverance towards the book, as I had with the adoption of our daughter Diana. Through connecting with agencies, word of mouth, a notice in Today’s Parent Magazine and other networking efforts, I managed to find families from as many parts of Canada as I could muster. The majority of these families stayed the course with me for the next three years until I was able to find a publisher. To overcome that hurdle was incredible, but even more incredible, was the opportunity to finally meet and interview the families, whose words make Labours of Love what I hoped it would be. It was a wonderful adventure, to fly, drive, seaplane and climb a mountain, to share a small part of these families’ lives. Besides being in the company of extraordinary people, I was reminded of the true majesty of this country, and the privilege I feel to be Canadian. We are indeed fortunate. 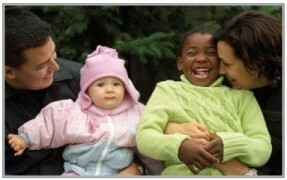 An unexpected bonus during this time was the people I met along the way, from whom I have learned so much – about adoption, about diversity, about compassion. Every person I encountered, upon hearing of the project, was enthusiastic, interested and anxious to share their experiences of adoption. These encounters encouraged me to keep going with renewed energy during moments of uncertainty. I have also learned with more conviction than ever, that there really are no accidents in life; no coincidences. Things happen as they are meant to; people enter our lives to support our purpose and to enrich the experience. Many of the people instrumental in creating this book aside from the contributors, have been profoundly touched by adoption themselves. Their involvement has also enhanced Labours of Love. 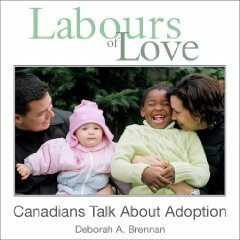 From here, my hope is that this book will inspire, inform, and shine a light on adoption in Canada, where there is darkness. There is much that can be done still, to find children in care the permanent families they so deserve, and it is up to us to help make it happen. 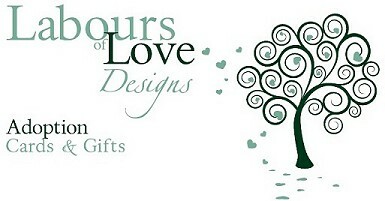 Visit the Labours of Love website to learn more.